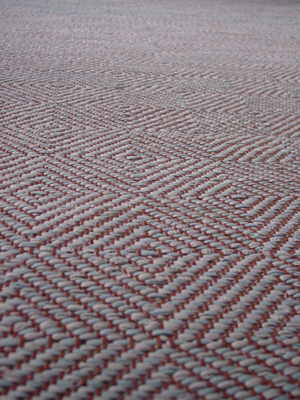 A variety of two-color rugs woven in a subtle diamond motif on Irish linen or cotton carpet warp. 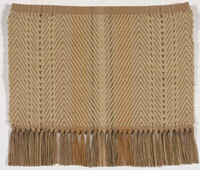 Rugs woven with linen are finished with a twisted-ply fringe. Those woven with cotton are finished with regular hand-tied fringe. Special orders may be finished with either type of fringe or self-bound ends. Click any image to enlarge. 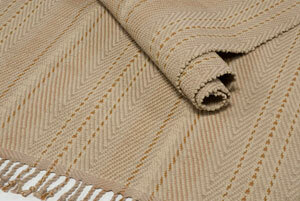 Point Twill can be special-ordered with wool weft and cotton or linen warp. Please inquire about pricing. Swatch Service, Return Policy, Gift Certificates, and more. Sizes with * are available for immediate shipment. Length does not include 3" fringe at each end. Rugs are priced in standard sizes for convenience but are available in any size. Please allow approximately four to eight weeks for completion. Custom rugs smaller than 35 sq ft require an additional fee to set up a loom. Please inquire. 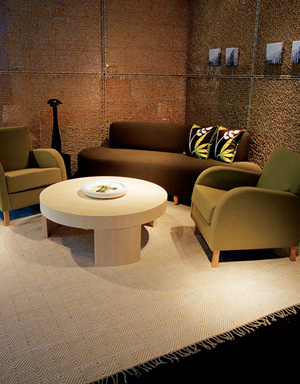 See Ordering Info for more information about ordering custom-sized rugs and finish options.